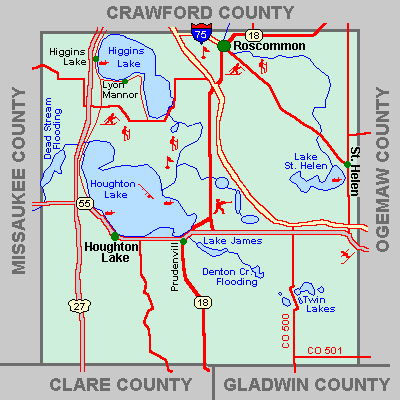 Our main office is in Houghton Lake while we also have a mobility management office in Roscommon! All of our buses have a ramp to help assist non-ambulatory customers in and out of the bus! We offer transportation services to Roscommon county residents and visitors 6 days a week!